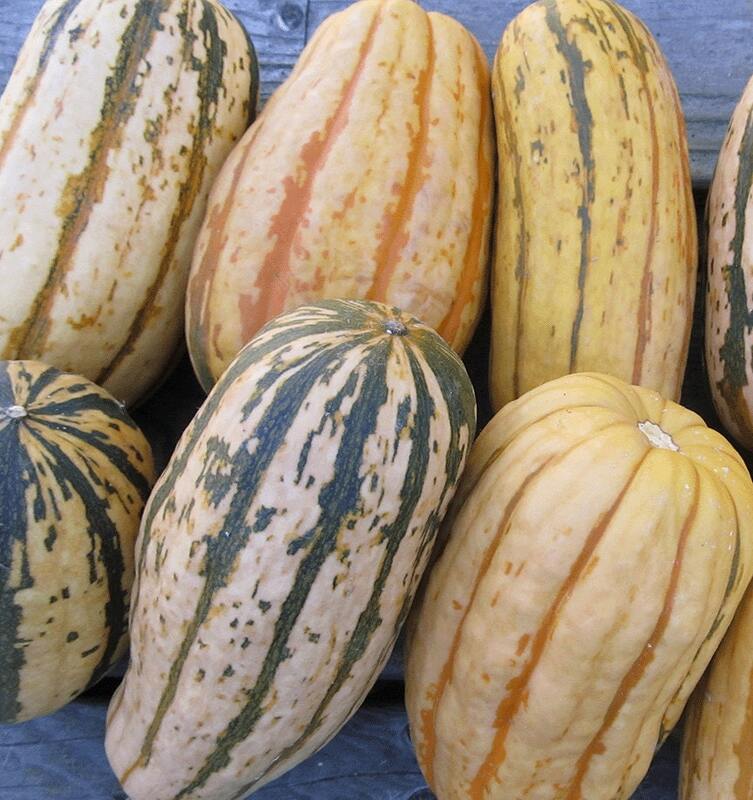 The mouth-watering name of this squash identifies it as the Delicata strain developed by Oregon plant breeder Carol Deppe, who selected for thick flesh, rich flavor, long storage capacity, and vigorous growth – thank you Carol. Halved and baked, they’re the perfect individual serving size. Thin edible skin too. 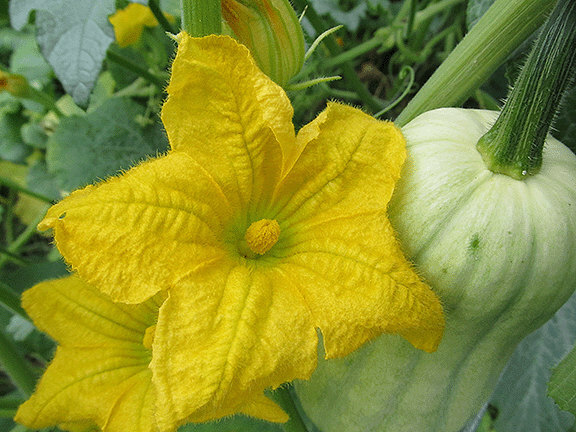 Culture: Plant seeds outdoors at around the time of your last expected frost. Full sun, and they enjoy having something to climb on. seeds arrived nicely packed. I hope they grow well. thank you.